Ruben Garcia Villalpando was one of three unarmed Mexican nationals killed by the police in February, 2015. Villalpando did not obey the officer's orders to remain still, and was shot twice in the chest with his hands on his head. Screenshot from the Grapevine, Tex., police dashcam video. In 2015 to date, there have been at least 714 people killed by police in the United States. At least 105 of the victims were identified as Latino. At least 16 of those Latinos were unarmed. Most of these shootings occurred in the states of Texas and California. In at least 19 of the shootings, there was evidence of mental illness among the Latinos. Below is our blogroll of officer-involved shootings in which the victims were unarmed Latinos. Each case is different. Some have made national news, but most have not. Overall, reaction to the shootings of Latinos by police in the U.S. has been muted. Nowhere is this more evidenced than in the fatal police shootings of three unarmed Mexican nationals within days of each other in February. One of the shootings was caught on camera and still failed to bring much national scrutiny. To collect this data, AL DÍA consulted the Washington Posts’s wealth of reportage on officer-involved shootings across the country, as well as the watchdog site Killed By Police. Local news reports for each shooting were cross-referenced for accuracy, as were available online documents from individual police precincts and, in certain cases, the U.S. Customs and Border Patrol. Any officer-involved shooting of an unarmed Latino that occurs in Philadelphia will rely on original reportage. This post will be updated weekly with new info. Questions remain unanswered about the July 17 shooting of Rodriguez by police officers in Brownsville, Tex. Police responded to a call about an alleged aggravated robbery around 2 a.m. The shooting occurred shortly after. Rodriguez’s mother demanded answers, but no public updates have been made since late July. It is unclear what occurred between officers and Rodriguez, or whether the man was armed at the time. On June 21, police in Azusa, Calif., received calls from Simental’s relatives about his “insane” and “bizarre” behavior. They said he had injured himself. Another 911 caller said that he had broken into a neighbor’s home. When police arrived, Simental was allegedly screaming “shoot me.” He may have been intoxicated, witnesses said. 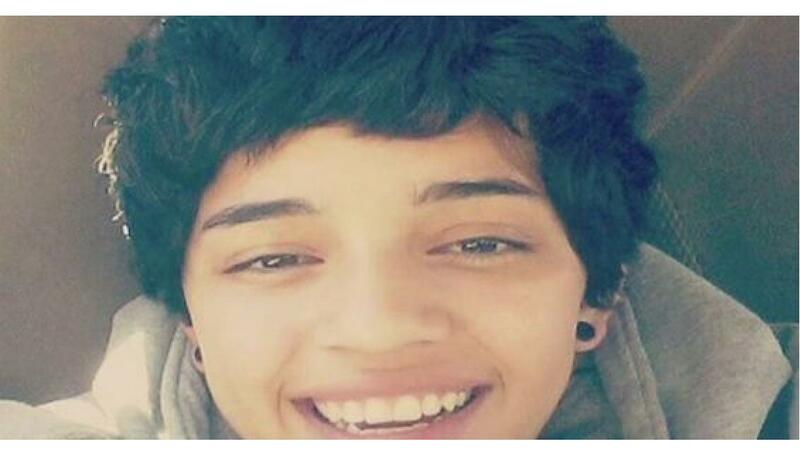 There was an altercation and Simental was shot multiple times by Azusa police officers. The shooting remains under investigation. A deputy Sheriff in Los Chavez, N.M., ended up shooting Baca during a welfare check on June 3. The two allegedly wrestled before Baca discharged his gun an unclear number of times. Police officers in Long Beach, Calif., thought Morejan was pointing a gun at them. On April 23, two officers responded to a call about trespassing and vandalism in a multi-unit residence building. They saw Morejon through a broken window, and one of the officers opened fire. No verbal warning was given. Independent investigations have been conducted. Leon and a California Highway Patrol (CHP) officer got into an altercation during a traffic stop for speeding in Sacramento County, Calif., on March 17. Leon was said to be armed, but the media and police reports are conflicting. CHP said that the suspect fired at the officer here. Leon fled on foot before carjacking a white and blue Ford Bronco that was stopped at an intersection. CHP fired at Leon. CHP officers later surrounded the house where the stolen vehicle was located. Leon was found dead inside. It is unclear the events immediately leading up to his death. Authorities tried to stop Perez and an unnamed female on March 13 in Walnut Creek, Calif., for driving a stolen vehicle. The two suspects fled, crashed the car, and began a foot chase through a residential area. Upon making contact with the officers, Perez allegedly “turned on the deputies with his hands in his waistband,” and was fatally shot by a deputy. Navas was driving a stolen vehicle in Los Angeles, Calif., on March 5 when police tried to stop him. After a six-minute police chase, a police SUV cornered Navas in a residential cul-de-sac. The officer in the passenger seat fired multiple shots in Navas’ vehicle. Navas was struck and tried to flee, but was apprehended quickly. He died on the sidewalk. Canepa, a Mexican national from the state of Guerrero, fit the description of a robbery suspect on Feb. 20 in Santa Ana, Calif. Officers confronted him in a white van and he was shot. Few details have emerged on the encounter. The family has been actively pursuing answers. An internal investigation is still underway. 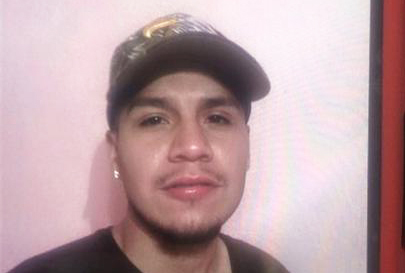 Canepa was the third Mexican national shot and killed by police in February. After a police chase on Feb. 20 in Euless, Tex., Ruben Villalpando pulled over and got out of his vehicle. He walked toward the arresting officer’s patrol car with his hands up on his head. He refused the officer’s orders to stop, and was shot twice in the chest. A dashcam video of the incident shows Villalpando asking the officer “are you going to kill me?” He also asked the officer to stop swearing at him. Villalpando was an undocumented immigrant. On Feb. 13, Carlin was fatally shot by a Pennsylvania state trooper who was trying to serve him an arrest warrant at a rowhome in Reading, Pa., 60 miles northwest of Philadelphia. Police said the trooper, who was accompanying the state SWAT team, opened fire around 4 a.m. after Carlin refused to follow the orders. Carlin was a fugitive on the run from South Tucson, Az. Authorities issued warrants for his arrest for aggravated assault with a deadly weapon, possession of a deadly weapon, and influencing a witness. Carlin had a prior conviction for molesting a child younger than 12 years old. Zambrano-Montes was an immigrant from Michoacan, Mexico, who worked as an orchard worker in Pasco, a small town in southeastern Washington. Media reports conflict over whether or not Zambrano-Montes struggled with mental illness, but court documents revealed he did have history of strange, erratic behavior. On the evening of Feb. 10, Zambrano-Montes was reportedly throwing rocks at vehicles when he was approached by police. Police said he struck two vehicles and refused their cease orders. Three officers chased him and used their tasers unsuccessfully before firing 17 shots at the 35-year-old. A funeral procession of 100 was held in his wake. The Mexican consulate arranged to have his body flown back to Mexico for burial. Hernandez was unarmed when he was shot and killed by police in Pheonix, Az. However, he was an accomplice to Salvador Muna, who was wanted in for a probation violation. After one failed attempt to take Muna into custody, police succeeded in tracking him down. Muna tried to flee by car with his friend Joaquin Hernandez, 28. U.S. marshals shot Muna after he allegedly produced a gun. It is unclear if Muna fired any shots, but he had prior arrests for drugs and weapons. Hernandez was also killed. 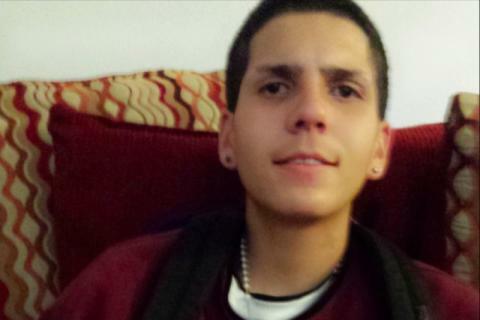 Hernandez was allegedly driving a stolen vehicle in Denver, Col., with five other teenagers. Police reported that Hernandez tried to drive the vehicle at one of the officers when they opened fire. The police report was contradicted by the witness reports of the four people in the vehicle, all of whom survived. There is also concern about the way Hernandez’s body was handled following the shooting. Police in Lynn County, Tex., tried to pull over Garcia for a traffic violation on Jan. 26, but Garcia took off. A cross-county chase ended with Garcia’s arrest. As the deputy sheriff inspected his vehicle, Garcia allegedly tried to steal the police cruiser while cancuffed. He was shot and died shortly after. On Jan. 3, police officers in Wichita, Kan., responded to a domestic disturbance call. Santiago Quintero was parked in his SUV with his son John Quintero in the passenger seat. The father told police officers that he had “diffused” the domestic conflict involving his son. Officers then asked both men to exit the SUV. The father complied, but John (who police dispatchers said may have been inebriated) was combative with the officers. One officer tased him, the other fired and shot John Quintero twice. Police say Quintero had reached for his waistband. Santiago Quintero maintains that he son was compliant and had his hands up. Why do I cast no shadow?